Sole is a delightful and versatile fish. 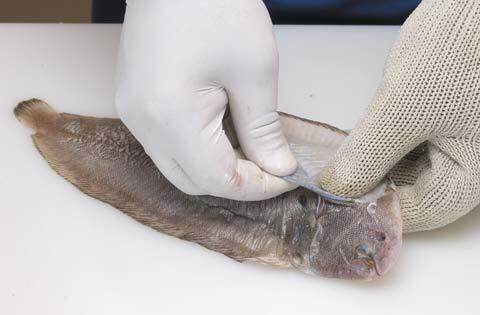 Sole is often sold in prepared filets or already cleaned, but if using whole fresh sole, the skin needs to be removed before cooking. Here’s how to do it. Lay the fish on a cutting board. Cut off the head and discard. Gently cut into the skin across the tail, loosening a bit with a sharp knife. Grab the skin with your hand and pull off from the tail toward the head (where the head used to be) and discard.